This week I started two new design projects! The first is for Classic Elite’s Spring/Summer 2014 collection — so, even though I’ll be done with the design and sample in a few short weeks, I won’t be able to share until that collection debuts early next year. But, I want to give CEY Mesa a plug! Both in swatching and in the actual garment, this 100% cotton yarn is delightfully plush. I love the subtle tonal colorways. The second project is something you’ll get to see a bit sooner! I’m working on a one-skein project for A Hundred Ravens Lustre (aka Luster DK on Ravelry). 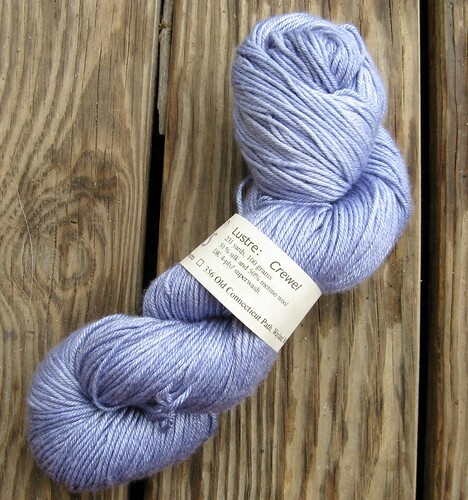 It’s a nicely spun merino/silk blend, hand-dyed by local dyer Kate. 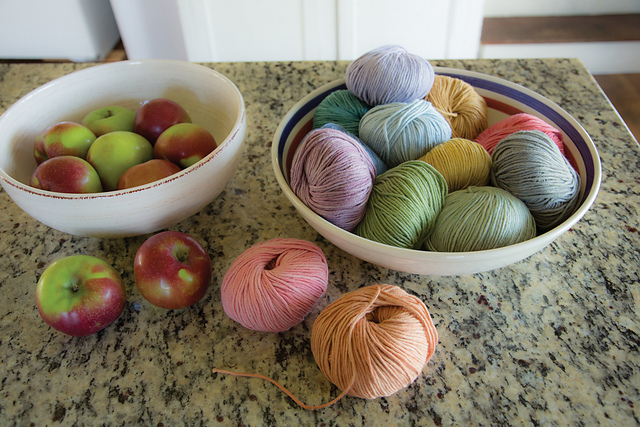 The silk blend takes yarn differently than pure wool, with smoother blends between hues and a beautiful, well, luster. (This all makes me think of this couplet: The moon on the breast of the new-fallen snow/Gave the lustre of mid-day to objects below.) With only 231 yards to work with, I’ve got quite a challenge to make something dramatic! I’ve decided to go with a VERY open lacy stole, with lace patterning on both right-side and wrong-side rows.